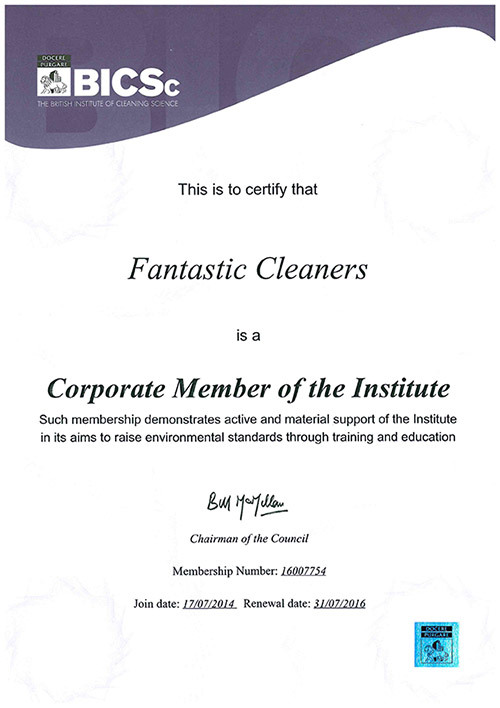 http://www.fantasticcleanersbristol.co.uk/ is a site operated by 1st Online Solutions (We). We are registered in England and Wales under company number 07082485 and have our registered office at 98 Tooley Street, London SE1 2TH, United Kingdom. Our VAT number is 996373558. 1.1 Access to our site is permitted on a temporary basis, and we reserve the right to withdraw or amend the service we provide on our site without notice (see below). We will not be liable if for any reason our site is unavailable at any time or for any period. 2.1 Our role is as an introductory agent for providers of Cleaning services and we are authorised by such providers to enter into a contract with you on the service providers’ behalf. We will do this by taking your booking enquiry, allocating the booking to an available provider (Provider) and then sending you an email confirming the details of your booking and providing a link to the Services Terms and Conditions. 2.2 Once you have indicated your agreement to the Services Terms and Conditions and the terms set out in the email using the link provided in the email, a contract will come into existence between you and the Provider. 2.3 Your contract is with the Provider and responsibility for the provision of the services rests solely with the Provider. Please read the Services Terms and Conditions carefully as they will be legally binding on you once you have indicated your agreement to them. 2.4 Although your contract is with the Provider, we will continue to be your main point of contact whilst the Provider is providing the Cleaning services to you and we will also process all non-cash payments from you on behalf of the Provider. 2.5 Although we make every effort to vet and select an appropriate Provider, the responsibility for the provision of the Cleaning services is the Provider’s alone. You agree that we take no responsibility (directly or indirectly) and incur no liability of any kind for the provision of the Cleaning services. 2.6 We welcome your feedback about Providers and if you experience problems of any kind with a Provider please contact us straightaway on 01172 421333. 3.7 Fantastic Cleaners Bristol is trademark of 1st Online Solutions. 4.1 Commentary and other materials posted on our site are not intended to amount to advice on which reliance should be placed. 4.2 We therefore disclaim all liability and responsibility arising from any reliance placed on such materials by any visitor to our site, or by anyone who may be informed of any of its contents. 5.1 We aim to update our site regularly, and may change the content at any time. If the need arises, we may suspend access to our site, or close it indefinitely. 5.2 Any of the material on our site may be out of date at any given time, and we are under no obligation to update such material. 6.1.2.7 wasted management or office time; and whether caused by tort (including negligence), breach of contract or otherwise, even if foreseeable. 7.2 By using our site, you consent to such processing and you warrant that all data provided by you is accurate. 8.1 Whenever you make use of a feature that allows you to upload material to our site, or to make contact with other users of our site, you must comply with the content standards set out in these terms. You warrant that any such contribution does comply with those standards, and you indemnify us for any breach of that warranty. 8.4 We have the right to remove any material or posting you make on our site if, in our opinion, such material does not comply with the content standards set out in these terms. 10.3 Our site must not be framed on any other site, nor may you create a link to any part of our site other than the home page. We reserve the right to withdraw linking permission without notice. The website from which you are linking must comply in all respects with the content standards set out in these terms. 10.4 If you wish to make any use of material on our site other than that set out above, please address your request to office@fantasticcleanersbristol.co.uk. 11.2 We have no control over the contents of those sites or resources, and accept no responsibility for them or for any loss or damage that may arise from your use of them. If you have any concerns about material which appears on our site, please contact office@fantasticcleanersbristol.co.uk.